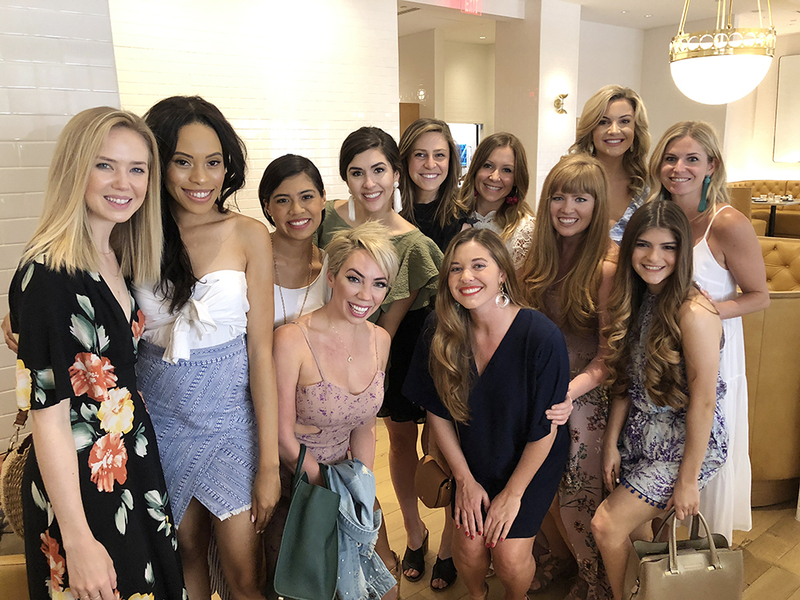 Every month, I have the privilege of hosting a group of influencers at Dallas Blogger Brunch and the events keep getting better and better! After 3 years of brunching at some of Dallas's best restaurants with some wonderful ladies, I'm always amazed that each event can feel so unique and special because of the restaurant, service, and of course, the guests! 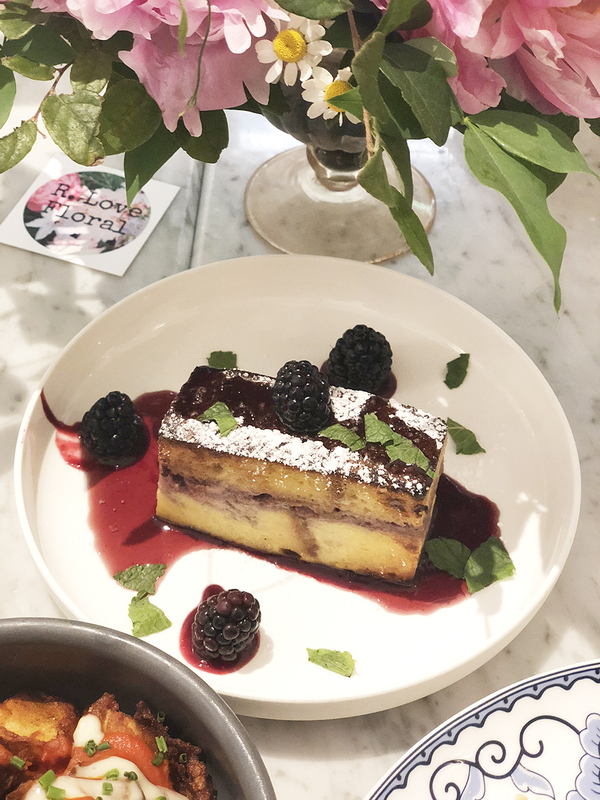 This month, we were hosted by City Hall Bistro inside the The Adolphus Hotel and we couldn't have asked for a better experience. The restaurant itself is beautiful, with minimalist design, gold accents, and natural light - the perfect backdrop for brunch! We had the most elegant acrylic place cards with gold calligraphy by Aislinn at Proper Letter. 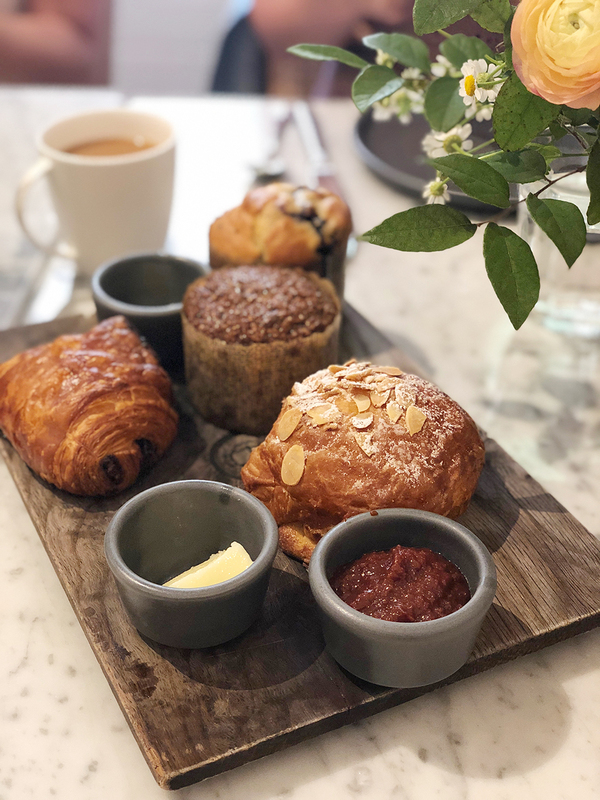 I first discovered Aislinn on Instagram and she was so sweet to work with and came up with this concept specifically for our brunch at City Hall Bistro. I can't get over our beautiful floral arrangements either! They were created by Raquel of R Love Floral and she outdid herself! I always love working with Raquel and was so thrilled that peonies came back into season just in time for this brunch! Our tablescape was definitely a showstopper and I'm pretty sure that all of the other guests at City Hall were jealous! Of course, City Hall started us off with CARBS, mimosas, and coffee - this breakfast bread assortment was so good. I literally started eating half of a muffin before I offered anything to anyone else (#rude haha)! We tried so many dishes and all of them were amazing, but I think this Hazelnut Waffle was the crowd favorite! Yes, that is Nutella drizzle on that waffle! We got to try the lamb sausage, papas bravas, and shakshuka (an egg and toast dish). My personal favorite (duh!) was the stuffed french toast! 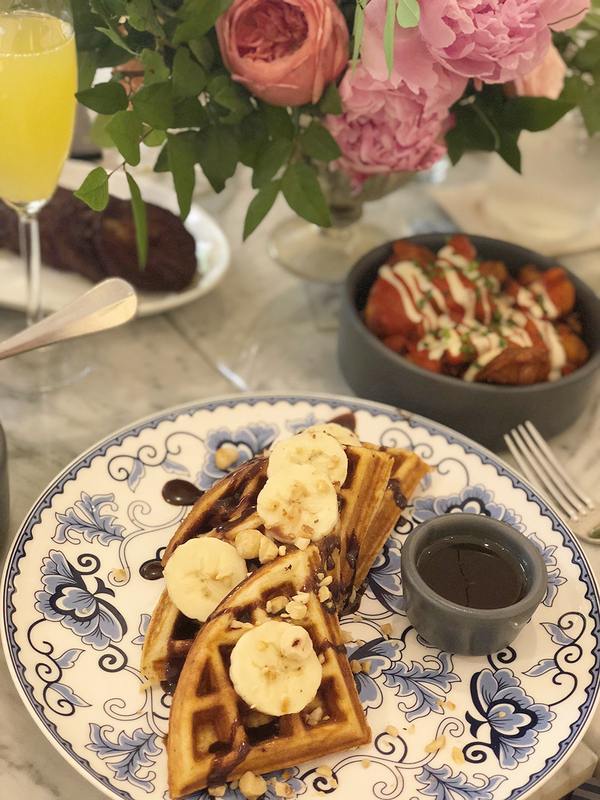 If you've been following Dallas Blogger Brunch for any amount of time, you know that I love ordering french toast at brunch! I tried the french toast previously at City Hall and knew that it was delicious, so I was thrilled to have it again! Blackberry ricotta and syrup- yum! This brunch was extra special because of these ladies! I love being able to connect so many talented women in Dallas and this group was such a joy to host! Definitely check out each of their Instagram accounts: Caroline, Kelsey, Jatsive, Rhonda (me! ), Becca, Anna, Jessica, Kat, Claudia, Brooke, Tara, and Jac! 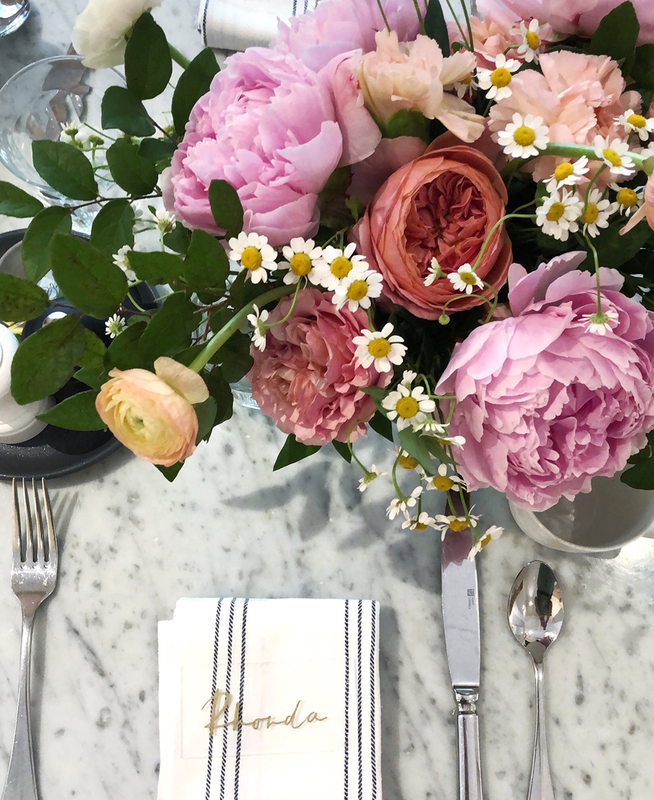 Thank you to City Hall Bistro and The Adolphus for hosting Dallas Blogger Brunch, and to R Love Floral and Proper Letter for making it beautiful!